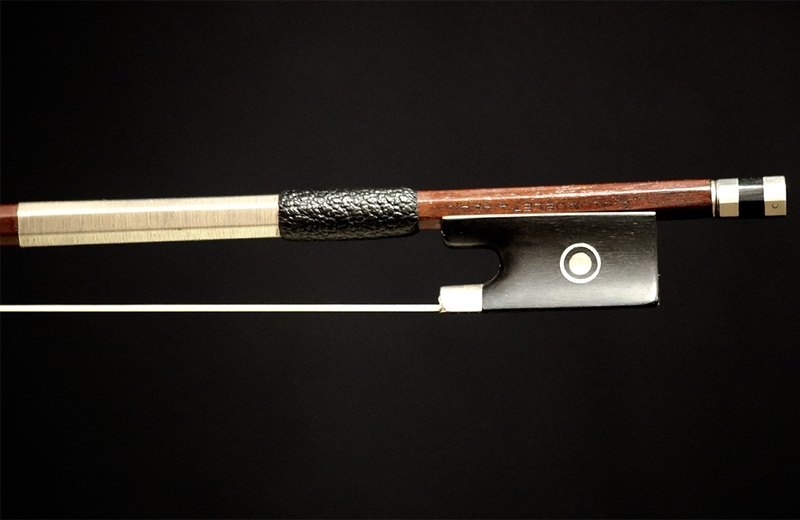 Description: This viola bow was made by the Jerome Thibouville-Lamy workshop in Mirecourt, France. In the 16th century, the shop produced woodwind and brass instruments. It was not until Jerome Thibouville entered the dynamic market for stringed instruments in 1848. The shop grew and employed many workers which produced wooden instruments and bows. 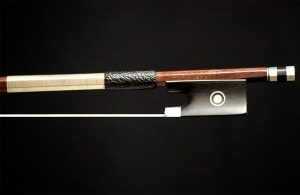 This particular bow has silver and ebony mounted onto a round stick of orange-brown pernambuco of excellent quality. The frog is of ebony and silver and has a mother of pearl eye encircled by a silver ring in each side. The button is in three piece form and its collar has a second cut. 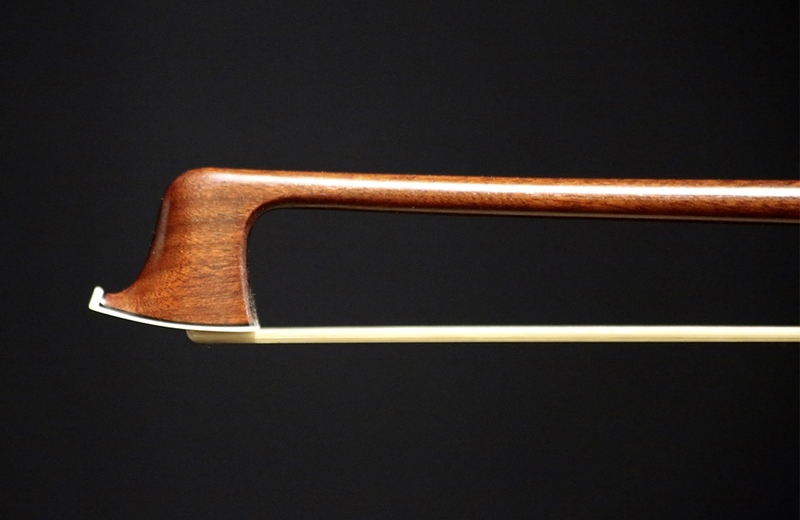 This bow is in excellent condition and is certified by Paul Childs. Weight: 66.7g. The lighter weight makes this an ideal bow for faster passage work and it produces a clear, crisp tone.